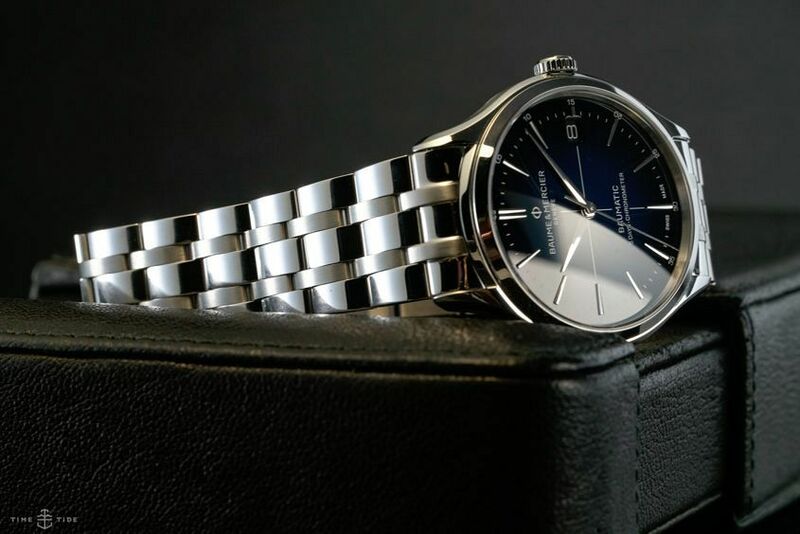 Baume & Mercier’s foray into the world of in-house movements resulted in one of the biggest value propositions of 2018, the Clifton Baumatic. Well, this year the simple steel watch with an impressive five-day power reserve was the subject of a stylish makeover, in the form of a blue dial. But not just any blue. The cadran bleu, as it’s called, is a deep, dark graduated blue that veers strongly into black territory at its outer limits. It’s not as bold or flashy as some other graduated blue dials, but it’s also a lot more mysterious as black. Dial change aside, everything else is business as usual. The case is 40mm, and the watch comes either on leather (my pick) or a five-link bracelet. The movement is also offered in COSC or non-COSC variants. 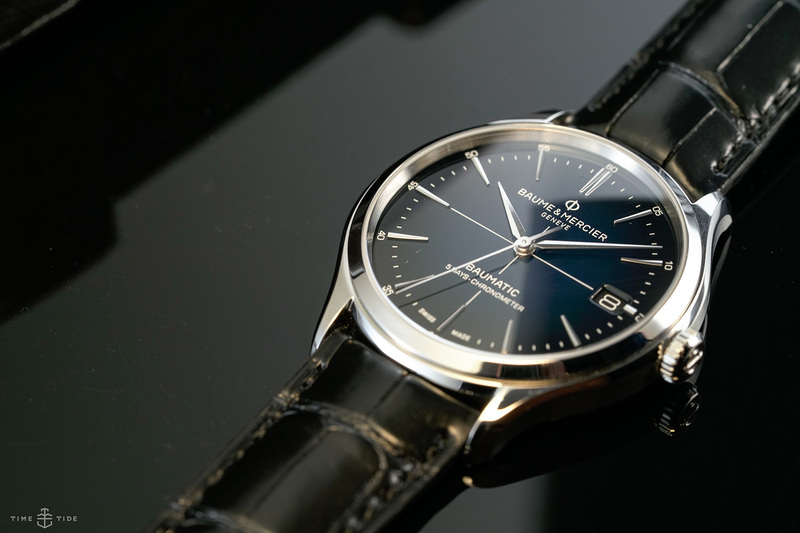 The COSC option features a sector-style crosshair on the dial. 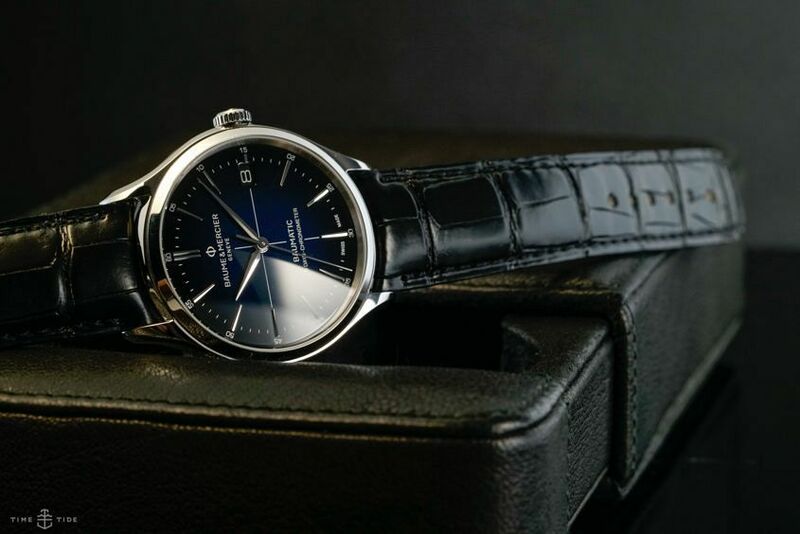 Baume & Mercier Clifton Baumatic Cadran Bleu, from 2400 euro, including tax.